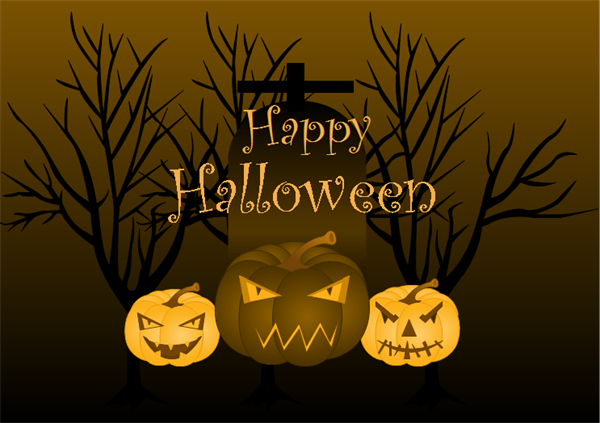 Free pre-drawn Halloween cliparts that are high quality, easy to use and highly scalable. 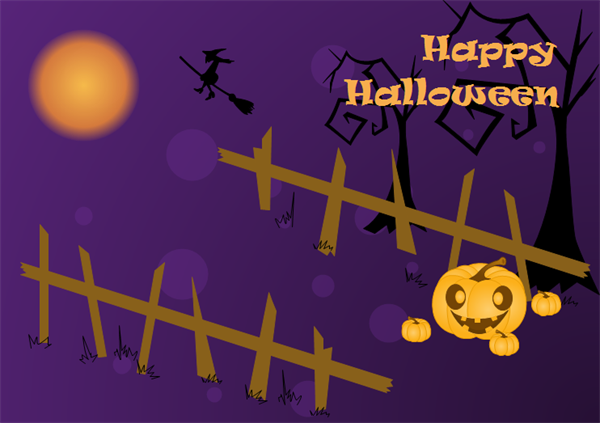 Just drag and drop Halloween clipart pictures to enrich your diagrams, cards, books, presentation and business reports etc. Perfect vector-based Halloween clipart pictures, free, editable and printable! 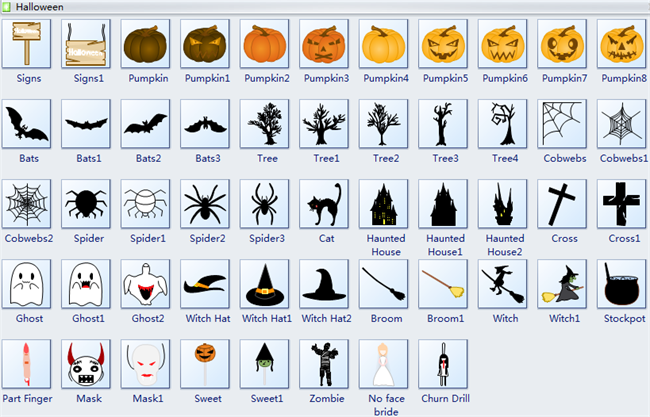 The Halloween clipart gallery includes scalable Halloween cliparts such as Pumpkin, Bats, Ghost, Witch etc. They are vector format and can be zoomed in and out while keeping high resolution. Users can save a lot of time without the need to draw. They are all ready-to-use and can be recolored, rotated and resized easily. Open a Drawing Page. -> Click Library button. -> Choose Card. -> Click Halloween. -> Drag necessary shapes and drop them on the canvas. -> Drag the square handles to resize shapes and drag the round handles to rotate them. You can group or ungroup the shape if you want to use the subshapes. Go to Home tab and click Group button. 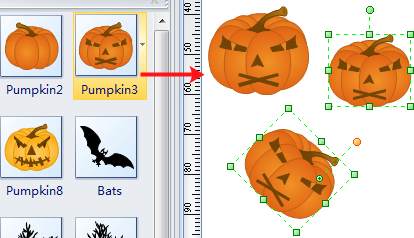 The Halloween cliparts are very useful. 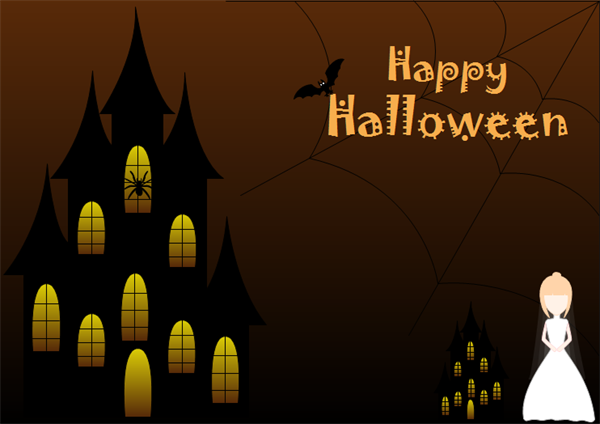 Edraw is an amazingly easy tool for you to apply these cliparts when making other design projects such as Halloween card, flyers and so forth. See some examples below.